In 1934, while discussing humankind’s innate drive to understand the anima and life itself, C. G. Jung suggested that the former and the latter “are meaningless in so far as they offer no interpretation. Yet they have a nature that can be interpreted, for in chaos there is a cosmos, in all disorder a secret order, in all caprice a fixed law, for everything that works is grounded on its opposite.” As a psychologist, Jung was first and foremost concerned with the typical patterns that underpin and structure human experience. He viewed the human mind as a frontier that could be explored empirically and set out to draft a working map of the psychic interior. Given the scope of his undertaking, one could say that Jung viewed his psychology as an empirical tool that could plumb the depths of the human spirit and in a sense build, or if need be, tear down a weltanschauung. A weltanschauung is a German word that describes one’s outlook of the world, however, Jung provided a more nuanced definition for the term, which he defined as “an attitude that has been formulated into concepts.” Jung went on define attitude “as a psychological term designating a particular arrangement of psychic contents oriented towards a goal or directed by some kind of ruling principle” (CW8, para. 690). Thus, one could say that Jung’s vision of a weltanschauung was a holistic one that sought compensate for the limitations of a paradigm ruled by scientific materialism by returning the anima mundi to its rightful status as a first principle. This paper addresses Jung’s psychological vision of a weltanschauung, or put differently, the dream of a psychology founded on the reality of the psyche. Throughout, I will suggest how a relatively new theory in physics called observer-participancy could supplement Jung’s psychology and thereby advance his weltanschauung. 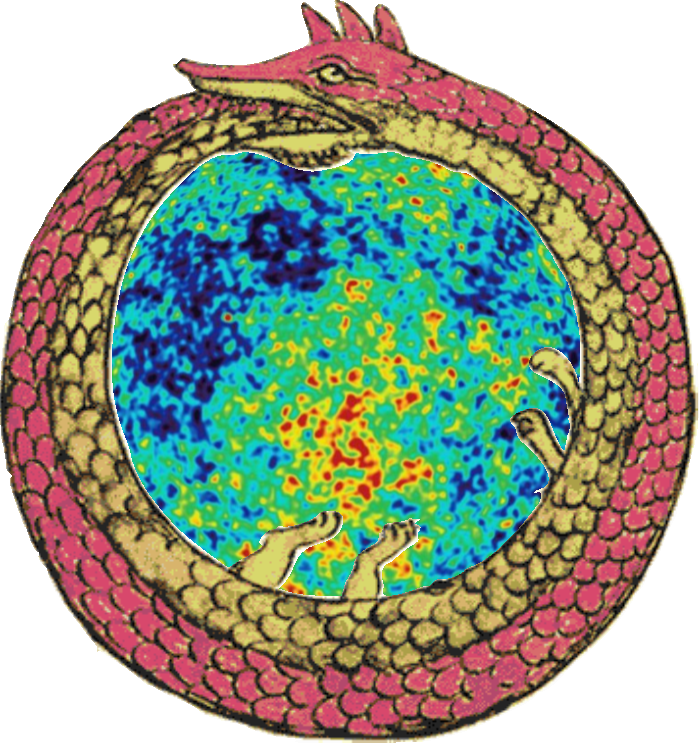 This theory proposes that observer-participants constitute a necessary condition of the universe. 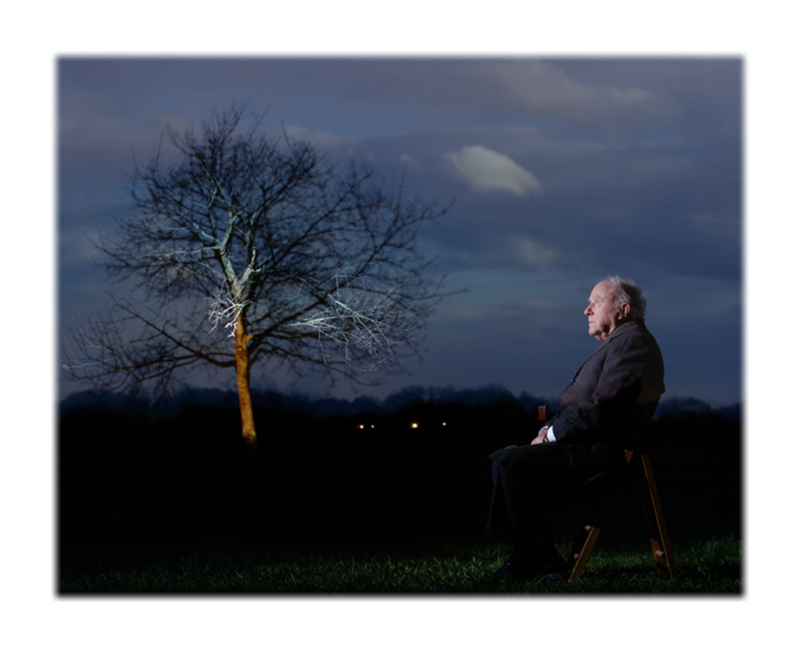 The term observer-participancy was coined by the late physicist John Archibald Wheeler. Wheeler , who passed away in 2008, was one of the last giants of twentieth century physics who taught and mentored some of the most gifted minds in theoretical physics. With his radical yet conservative approach he encouraged a whole new generation of physicists to follow experimental findings to their logical conclusion no matter how far-reaching they seemed. Needless to say, he left behind an impressive legacy that will continue to influence theoretical physics for year to come. There are a number of other features that belong to Wheeler’s so-called participatory universe, but In order to make these ideas more palpable, it is necessary to briefly review the core tenets of quantum theory. Quantum theory seeks to describe the behavior of matter and energy at the atomic and sub-atomic levels of reality. 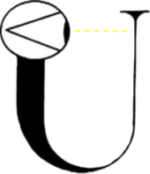 The central point of quantum theory, according to Wheeler, can be summed up with one statement: “No elementary phenomenon is a phenomenon until it is a registered or ‘observed’ phenomenon.” Max Planck, the father of quantum theory, marked the beginning of the quantum revolution in 1900 by proposing that all energy comes in discrete packets called quanta whose sizes are proportional to their frequency of radiation. During the course of the next 30 years other major theorists would contribute to the quantum revolution that Planck had ignited. These pioneers, or at least most of them, suggested that the measurement of a quantum system necessitates some form of interaction between the observer and observed phenomena. The physicist Niels Bohr played a major role in shaping Wheeler’s ideas. Bohr asserted that experimental findings in the study of the quantum world demonstrated “the impossibility of any distinct separation between the behavior of atomic objects and the interaction with the measuring equipment used to define the conditions under which the phenomena appear.” In other words, there can be no separation between the observer and the observed. Bohr contended that physics is not about what nature is, but what we are able to say about nature in a way that can be communicated to others. Quantum theory gave rise to a variety of interpretations to account for its peculiar experimental findings. Between 1925 and 1927, Bohr and his then-assistant Werner Heisenberg collaborated in Copenhagen, Denmark, regarding the implications of quantum theory. Bohr and Heisenberg, along with Wolfgang Pauli, are considered the chief architects of the Copenhagen interpretation of quantum theory which remains to this day the “standard” interpretation, although more recently other interpretations have gained traction. 4) No quantum phenomenon can be said to exist until it is measured. 5) Measurement or observation collapses the wave-function. 6) Collapse is often interpreted as an observer or measuring device acquiring information from a measurement, rather than as an objective event. 7) The wave-function displays either wave-like or particulate properties, but never both at the same time. This principle is referred to as complementarity. And 8) the inner workings of sub-atomic reality is non-visualizable. Therefore, it is important to emphasize that we cannot apply visual analogies or models to quantum reality because of our inability to imagine the internal structure of the atom. Simply put, there is no psychic image or classical model that can accurately represent quantum reality. In order to provide a brief illustration of what I mean by wave-particle duality, and by extension some of the implications of quantum theory, I’ll turn now to the well-known Experiment. The experiment consists of a light source and an aluminum plate which is perforated by two equilateral slits so as to allow a particle or a wave to pass through. At the other end of the experimental apparatus rests a photographic plate which is situated behind the perforated plate. The light source is calibrated so that it can emit one photon at a time or emit a steady stream of photons which is indistinguishable from a wave. If the light source emits a stream of photons at the first screen what gradually emerges is an interference pattern, which would suggest wave-behavior. So far so good. Now, if one adjusts the light source to emit one photon at a time, the photon will appear to have gone through “either” slit A “or” slit B, with a 50/50 probability for either slit. However, over time, the same interference pattern will build up on the second screen. So far, so good. Now, let’s say that we decide to find out which slit the photons are going through by mounting a detection device near slit A and slit B. Well, in this case, no interference pattern will appear, but rather an image that is consistent with particle-like behavior, two separate bands of light, indicating that the photons traveled as discrete units through either slit A or slit B. So far, so good. Thus, the experimental results aptly demonstrate wave-particle duality and show that a measurement effectively reduces the wave-function of light to an either-or configuration. What the experiment suggests is that the behavior of light and other quantum phenomena is dependent on the questions we ask or in this case, the way we choose to design the experimental apparatus as a means to elicit a certain response, yes or no. Given the experimental findings of wave-particle duality, Wheeler proposed a thought-experiment that could further explore how light “knows” when to alter its configuration from a wave to a particle. With the right experimental set-up, he realized that it would be possible to arrange the double slit experiment in such a way that the observer could decide whether he wants to see stripes or wave-like blobs after the photon had already passed through the first screen. 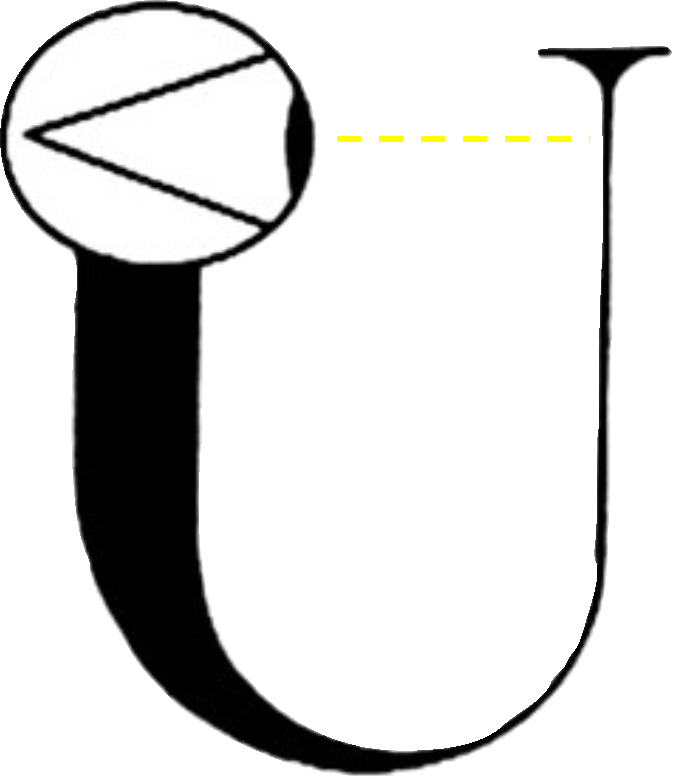 At the last possible second, the observer can choose to remove the photographic plate, revealing two small telescopes just beyond the experimental apparatus: one pointed at the left slit, the other at the right. The telescopes would be able to tell which slit the photon had passed through. But if the observer leaves the plate in place, the interference pattern forms. The observer’s delayed choice determines whether the photon has taken one path or both paths after it has presumably already done one or the other. Now, this all sounds very counterintuitive when applied to the everyday world of baseballs and planets, however, the description is valid for two very important reasons. The first reason, as already mentioned, is because “No elementary phenomenon is a real phenomenon until it is registered or observed.” The second reason, just as counterintuitive as the first, is because space and time do not exist until they are measured or experienced, and to quote Wheeler: “The Past has no existence except as it is contained in the records, near and far, of the present.” Because elementary phenomena are non-local, what happens in the present instantaneously effects the particle’s history or what is called in physics its world-line. So the history of the particle is only theoretical until it is measured. Space and time, like the concept of a world-line in physics, are not real in themselves, but as Kant suggested consist of a priori categories. Both Wheeler and Jung seem to have taken cues from Kant regarding their conception of space and time. Jung opined that “In themselves, space and time . . . are hypostatized concepts born of the discriminating activity of the conscious mind.” Einstein too held a similar neo-Kantian notion as evidenced by the following statement: “Time and space are modes by which we think, and not conditions in which we live.” Thus, from the vantage points of depth psychology and the new physics, space and time could be viewed as nothing more than stubbornly persistent illusions. After all, how can there be an objective past if space and time are merely psychic constructs? Understandably, some will suggest that the delayed choice experiment violates causality or implies a form of retrocausality. Although I can see how it is easy to arrive at such a conclusion, it is not a question of causation in the usual sense of the word, but one of correlation. Put differently, a measurement in the present correlates with what occurred in the past. Thus, the delayed choice experiment does not violate causality as much as it demonstrates a mutual cooperation between the present and past through a measurement. The act of observation then could be viewed as the tertium comparationis of the present and the past, the very medium that connects the former with the latter. Taking all of this into account, one could say that the information gained from the measurement of an elementary phenomenon in the present instantaneously substantiates its existence in the past. Our knowledge of the system and ability to communicate its information in a clear and plain language, results in the description of a phenomenon behaving as either a wave or a particle. The quantum mechanical description is always in terms of knowledge, and thus Wheeler’s and Bohr’s emphasis on an epistemological approach to quantum theory rather than an ontological one. The questions we ask in the present delimit what we can “know” about the past. One could say that observer clothes the phenomenon with an image, wave or particle, slit A or slit B. Therefore, the past could best be described as a representation, an image. Just as the brain fills in the content of the eye’s blind spot with meaningful data, the psyche, through its image-making faculty, creates a provisional picture around a few nuts and bolts of empirical content. As a way to better appreciate the implications of the delayed choice experiment, Wheeler applied the experiment to the large scale structure of the universe. To see the point, Wheeler said, just take the delayed choice experiment and scale it up. Imagine light traveling toward Earth from a quasar ten billion light years away. A massive galaxy sits between the quasar and the Earth, diverting the light’s path with its gravitational field like a lens. The light bends around the galaxy, skirting either left or right with equal probability and, for the sake of the thought experiment, arrives on Earth a single photon at a time. Again we are faced with a similar choice: We can center a photographic plate at the light’s arrival spot where an interference pattern will gradually emerge, or we can point our telescope to the left or right of the galaxy to see which path the light took. Our choice determines which of the two mutually exclusive histories the photon lived. We determine its route (or routes) start to finish, right now—despite the fact that the light began its journey billions of years ago. 3) The measurements we make today not only decide what we can know about yesterday, but what yesterday was. 4) The questions that we ask determine the description of reality. No question, no answer. 5) Observer participancy suggests that the entire universe is a self-excited circuit, a strange loop of meaning that is predicated on what Wheeler called a closed circuit of ideas in a self-referential deductive axiomatic system that arises from an immaterial source of functional processes and systems relations rather than independently real things. In some paradoxical way, observer-participancy suggests that the universe hoists itself into existence by its own bootstraps. 6) “It” from “Bit.” In his own words, “Every particle, every field of force, even the space-time continuum itself—derives its function, its meaning, its very existence entirely . . . From the apparatus-elicited answers to yes or no questions, binary choices or bits.” If we choose to not present a question, we will not get an answer and no information is gained. “It from Bit” suggests that it is information, not matter, which is the sine qua non of the universe. Wheeler sketched the diagram on your left to illustrate the meaning of a self-excited circuit. Although I do not have sufficient time to expound on the similarities, I would point out how its symbolism seems to accord with that of the uroboros. All of the foregoing ideas have inevitably led us to the central question of this paper, the relation of these ideas to Jung’s vision, the dream of a comprehensive weltanschauung, a world-picture that can effectively bridge the gulf between a chaos and a cosmos and psyche and matter. I propose that certain interrelated ideas in Jung’s psychology can advance one’s understanding of a participatory universe and can aid in the construction of a new weltanschauung. Conversely, Wheeler’s participatory model seems to coincide with a few concepts put forward by Jung, of which I will now turn to. Our observations are mired with our own subjectivity which we constantly project into the world; and there can be no complete statement of that world without taking into account the psychic images that supply it with meaning, both past and present. The observer and the elementary phenomenon in some way become inextricably entangled in a net of images once a measurement takes place. As Jung suggested, “We live immediately only in a world of images.” By uniting the idealistic standpoint with the realistic standpoint, Jung seems to have managed to avoid the solipsism of Berkeleyan idealism and the hypostasis of local realism. “Living reality, suggested Jung, “is the product neither of the actual objective behavior of things nor of the formulated idea exclusively, but rather of the combination of both in the living psychological process, through esse in anima.” The idea and reality come together in us, that is to say, in the observer-participant. Another idea proposed by Jung that in my view can throw light on observer-participancy is what he referred to as psychization. 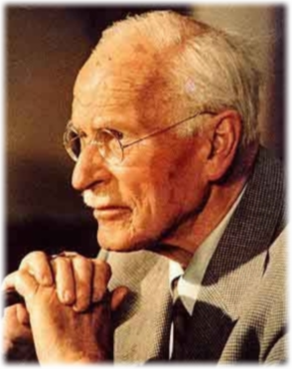 In his essay “Psychological Factors Determining Human Behavior,” Jung defined psychization as the process by which an ectopsychic instinct takes on a psychic quality and thus is able to assimilate a “stimulus to a pre-existent psychic pattern.” Jung articulates this concept in phenomenological terms and distinguishes an ectopsychic instinct from an instinct that has been psychically modified. Instincts react to stimuli and if the stimuli reach a certain threshold of intensity they are in turn assimilated into the psychic datum from which they can later be retrieved and expressed accordingly. What emerges from this process are psychic images, which lay the entire scaffolding of the archetypal imagination. Through psychization, the instinct is naturally transformed into a psychic image, which if supplied with sufficient energy can produce a variety of new phenomena. One could say that psychization supplies the image, wave or particle, depending on the conditions of the measurement. What I am describing seems to parallel what Bohr called an “irreversible act of amplification”—the decisive transition from potentiality to actuality, from unknown to known, from unconscious to conscious. At bottom then, the entire universe could be viewed as an abstract wave of probability amplitudes that are clothed by the images we supply through observer-participancy. Thus, I am suggesting that observation may be compared, if only obliquely, with what Jung called psychization. As I have already mentioned, that space and time in themselves do not exist was a supposition embraced by both Wheeler and Jung. For Jung, space and time are organizing schema that orient one to the world and possess a typological coloring. Speaking of space and time, I would be remiss if I did not mention Jung’s synchronicity hypothesis in relation to observer-participancy. Although Jung insisted on associating time with synchronicity, explicit reference to a temporal category seems unnecessary. In fact, the physicist Wolfgang Pauli suggested to Jung that the term “correspondence” would more accurately describe what Jung referred to as synchronicity. Pauli believed that the emphasis should be placed on the “experience of meaning” rather than the category of time. Thus, perhaps a better way to approach the synchronicity phenomenon is to say that the psychic content, an image, “corresponds” to a physical event that coincides with a particular observational frame of reference that is arranged acausally. In this way, synchronicities and observer participancy seem to indicate particular instances of acausal orderedness in that both suggest “an inconstant connection through contingency, equivalence or “meaning.” Under certain conditions one could say that ego momentarily experiences a matrix of pre-conscious wholeness which helps the ego realize that it is part of a larger whole. The foregoing description seems tantamount to Wheeler’s conception of a meaning circuit but as applied to the individual person, who therein would constitute a distinct feedback loop which coincides with what occurs “when the psyche observes, not external bodies, but itself.” Whatever the case, I think that at second glance Jung’s synchronicity hypothesis is far from complete and that observer participancy may be able to supplement its conceptual framework with something that has heretofore been missing. Furthermore, that Wheeler called quantum phenomena “elementary acts of creation” and that Jung similarly called synchronicities “spontaneous acts of creation” suggest, in both cases, a cosmogony or modern creation myth that ties humankind into the big picture not as merely a spectator, but a participant. In 1925, Jung had an epiphany on the Athi plains of Africa, which he later described in his autobiography. He wrote, “There I was now, the first human being to recognize that this was the world, but who did not know that in this moment he had first really created it.” Jung invoked the words of the alchemists to describe the significance of that moment: “What nature leaves imperfect, the art perfects.” Thus, Jung believed that humankind was essential to the completion of creation in that reflecting consciousness seems to have placed its final stamp of certification on objective existence. Observer participancy suggests a co-creation of the world, or what Jung called the second cosmogony. Observer participancy also intimates what I am calling The New Alchemy. What is a theoretical physicist after all but a modern-day alchemist posing questions to the world with regards to its nature? Although clad in the language of physics and twentieth century paradigms, Wheeler’s participatory postulate parallels alchemy in that they are both steeped in the same symbolism. Whether it is an alchemist grappling with the problem of matter or a physicist at odds with an observer-dependent universe, it is difficult to deny the extent by which symbol formation plays a role in both the former and latter cases. One could say that Wheeler’s participatory universe is largely a symbolic one, which is dependent on psychic images just as much as natural laws. As Jung suggested: “Everything unknown and empty is filled with psychological projection; it is as if the investigator’s own psychic background were mirrored in the darkness.” Wheeler’s ideas and by extension quantum theory, show that the same problems that confounded the alchemists endure in our theories and the contemporary world-view.